Our postage stamp designs are offered in a variety of colors and customization options to offer seamless end-to-end style. They are available in standard 1 oz (55 cents), square/2 oz (70 cents), and postcard (35 cents) weights. Minted custom stamps are recognized by the U.S. Postal service and can be used for mail originating in the United States. 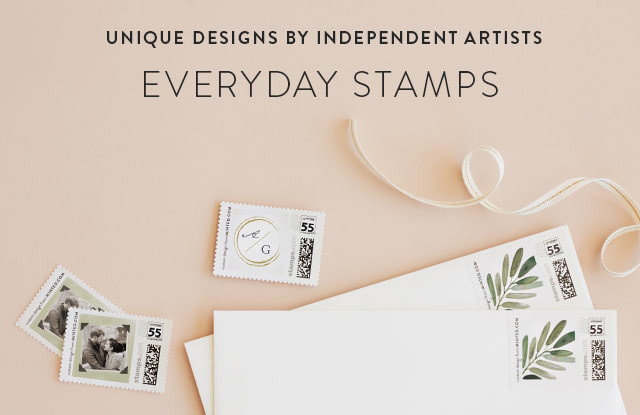 Shop Minted's selection of custom postage stamps and add that extra bit of perfection to your correspondence.